A Michigan man named Clarence Miller bought a brand new Dodge which was delivered without a spare tire. When the dealer said they could not provide him a spare right away, Clarence stopped payment on the car and the Michigan Supreme Court agreed with him. In legal circles, the case of Colonial Dodge versus Miller is well-known, and often called "The Spare Tire Case." It is a landmark, even cited and followed in other states for its interpretation of a key section of the Uniform Commercial Code which allows a buyer to revoke his or her acceptance of goods. That is, the buyer can return something for a refund. And in this context, the car is the "goods" being returned. Car dealers were not happy with this ruling. 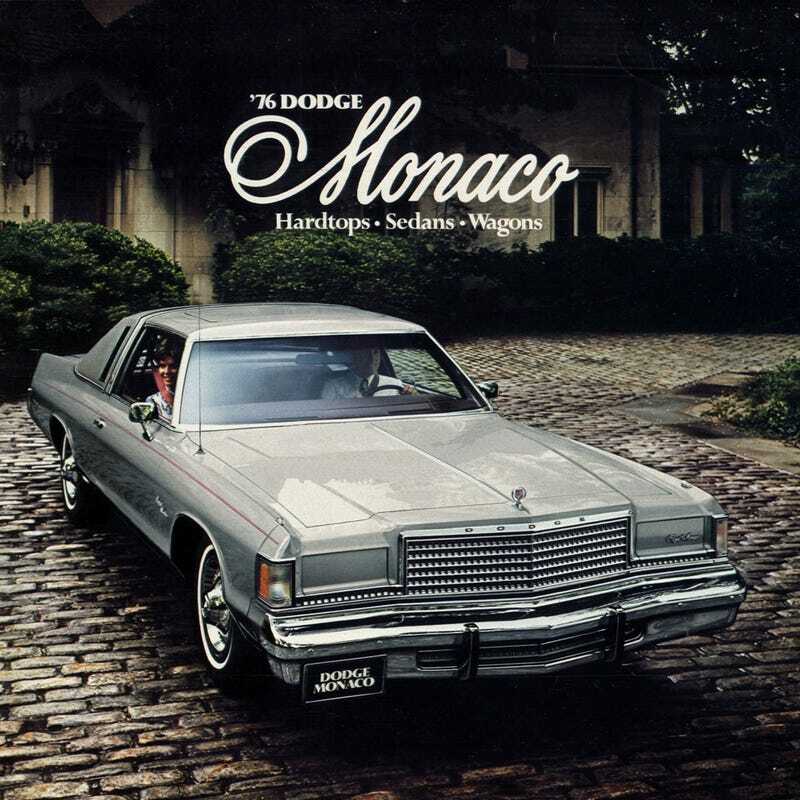 Clarence Miller was a traveling salesman and went to Colonial Dodge to buy a new 1976 Dodge Royal Monaco station wagon. He ordered a "heavy-duty trailer package with extra wide tires," and told the salesman about how his job often required him to drive hundreds of miles on Detroit roads at all odd hours and he was very concerned about the dependability of the car. It appears he gave them a check as a down payment and then another check when he took delivery of the wagon at delivery. He got the vehicle home and discovered it had no spare tire. He called the dealer and asked them if they could get him one forthwith and they told him that they could not – they would only be able to get him one in a few months. They blamed a labor problem in the tire industry but Miller stuck to his guns. When told that a spare tire would not be forthcoming, he stopped payment on the two checks he had given the dealer and told them to come get their car which was parked in front of his house. The dealer, as you might imagine, did not come and retrieve the car and were quite upset about the two checks which did not clear. They filed suit. And the car was towed away when the temporary plates expired. The case made it all the way to the Michigan Supreme Court which is actually quite an accomplishment all on its own. The court only agrees to hear about a hundred cases a year of the thousands of cases offered to them. The Michigan Supreme Court noted that a buyer who accepts goods in a sales transaction can revoke the acceptance of the goods if there is a nonconformity in the goods which substantially impairs the value of the goods to the buyer. There are two occasions where a buyer might be in this position: 1) where the buyer knew the goods were nonconforming but had been told they would be repaired or 2) where the nonconformity had not been discovered because of a difficulty in discovering the nonconformity. The Court noted that the spare tire in the vehicle was "under a fastened panel, concealed from view," making it reasonable that Miller had not noticed it at the time of delivery. The court ruled in favor of Miller. The car which had been towed away from in front of his house was not his - it was the dealer's. And those checks? Miller had no obligation to make them good. Dealers have attempted to battle this decision by adding all kinds of heinous boilerplate to their purchase agreements but they cannot rewrite the law. If you buy and accept a product and it contains a nonconformity - notice that the law does not say "defect" - you may be able to revoke your acceptance of that product if the nonconformity substantially impairs the value of the goods to you. What is "substantial"? That is always the question and it will vary from case to case, buyer to buyer, and even state to state. But in this case, it was nothing more than a missing spare tire. The Uniform Commercial Code has been adopted in almost every state - thanks Louisiana for making me have to qualify that - and the concept of revocation of acceptance is something everyone should know about. But trust me: Car dealers really do not want you to know about this case. Steve Lehto has been practicing law for 23 years, and has defended hundreds of traffic citations in dozens of courts. He also handles Michigan lemon law. He wrote The Lemon Law Bible and Chrysler's Turbine Car: The Rise and Fall of Detroit's Coolest Creation.